Clean and contemporary, you can wear the Tres 3-in-1 Parka alone in the rain, add the zip-out jacket for cold, wet weather, or hit the streets in just the liner when the skies clear. The durable 2-layer H2No® Performance Standard shell is made of 6.7-oz 100% polyester stretch twill with a DWR (durable water repellent) finish and lined with 2.3-oz 100% recycled polyester plain weave. A waterproof/breathable barrier makes the Tres completely waterproof, windproof and breathable for mountaineering-level storm protection. 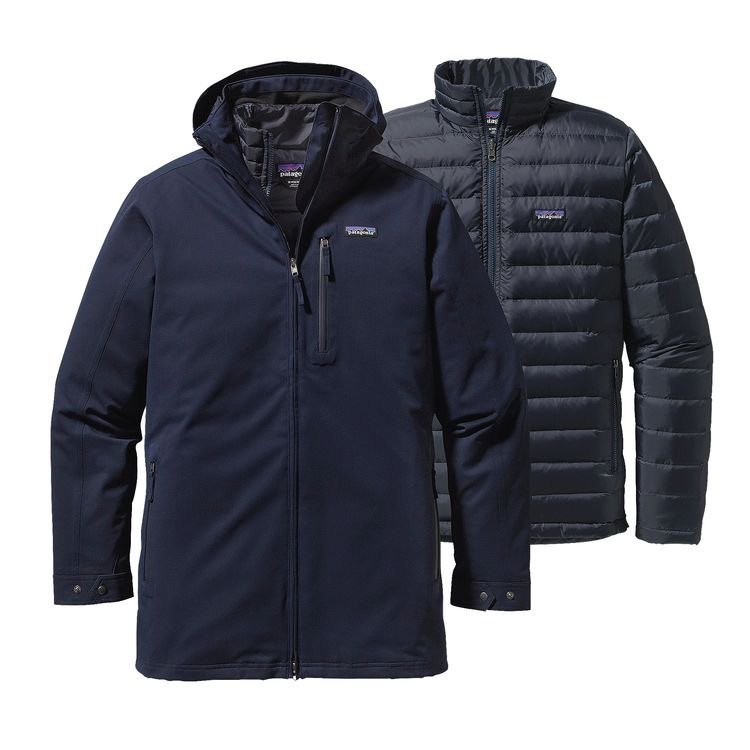 Shell details include an internally adjustable, removable hood; a 2-way waterproof, polyurethane-coated front zipper protected by a glued external storm flap with hidden snap closure; a zip-through stand-up collar; and a microfleece-lined chin flap. The zip-out jacket attaches to the shell via the front zipper and snapped loops at the cuffs and neck. 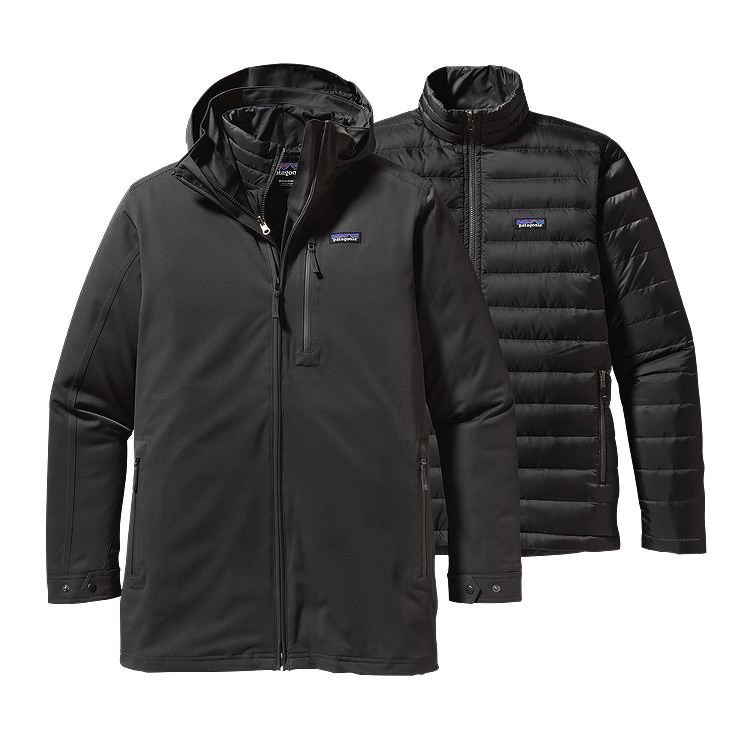 Zip-out jacket details include warm 700-fill-power Recycled Down insulation reclaimed from used duck and goose down products and horizontal quilting to keep the down in place. An adjustable bottom hem seals out cold drafts. Shell pocketing includes zippered handwarmer pockets with magnetic snap-flap closures and two security chest pockets; the zip-out jacket has microfleece-lined handwarmers, a chest pocket sized to hold a passport and an internal chest pocket that doubles as a stuffsack with a carabiner clip-in loop that lets you hang the Tres. Shell is lower-hip length; zip-out jacket is hip length.